STOP the presses. Two posts in a row?!?! I must be really excited about my current units we are studying! 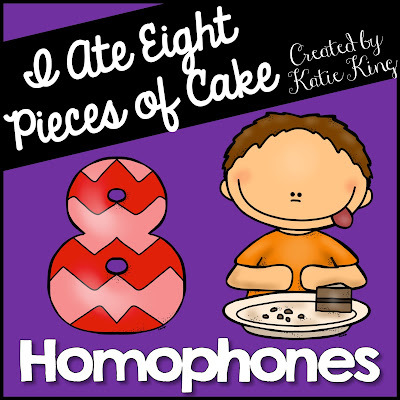 Last week my kids learned ALL about homophones with my I Ate Eight Pieces of Cake! 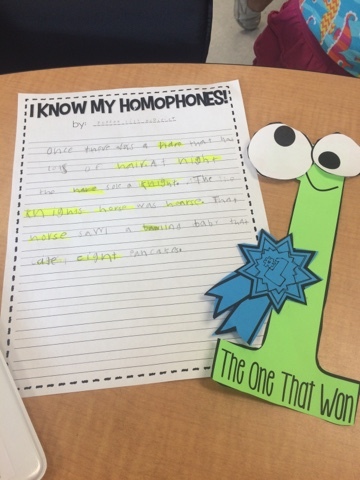 Homophones cane be hard for 2nd graders because they think they are finally getting a grasp on phonics. Then you throw the "woah, woah-there's two ways to spell that word!" at them. SAY WHAT??? I know kids, it's just not fair! 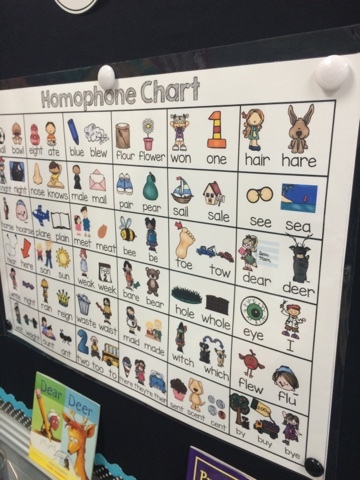 I made this chart last year because I knew my kids would need a visual reference. I made it into a poster size for our room. I also made copies of the smaller version for their binders. If you follow me on instagram, you know I have fallen in love with Amazon Prime. Rachelle informed me that I am WAY that to this party. 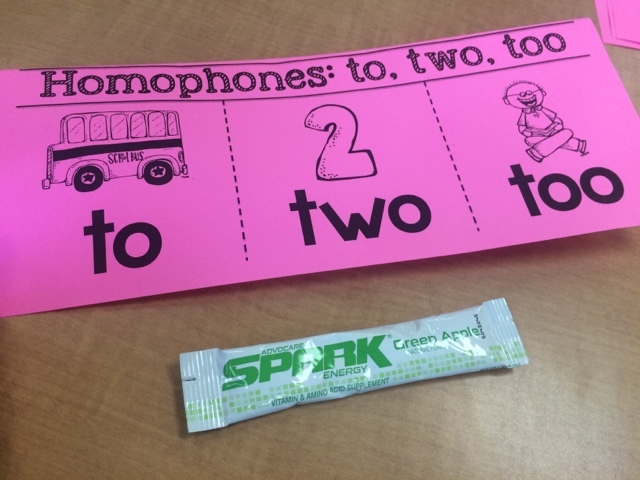 Anywho, I ordered three or four homophone books, but this is definitely my favorite! I knew I needed something cute to finish out the unit and that's not always my thing so I texted Amy and not 2 hours later she sent me this guy! HA! I love it and I SUPER love having talented friends! If you follow me on Instagram or FB you already know about this unit. If not... well, why not?!?! 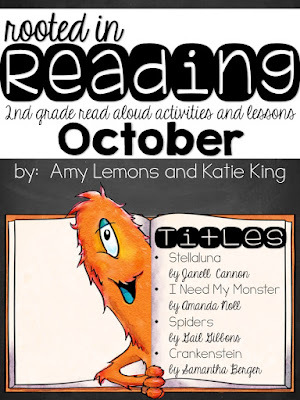 Amy and I just finished up our October Rooted in Reading unit last night! And when I say last night, I actually mean VERY early this morning. Y'all I could hear my husband snoring from the couch the entire time I was working :) We've been working like dogs to get this all finished, and we are soooooo excited about the finished product! 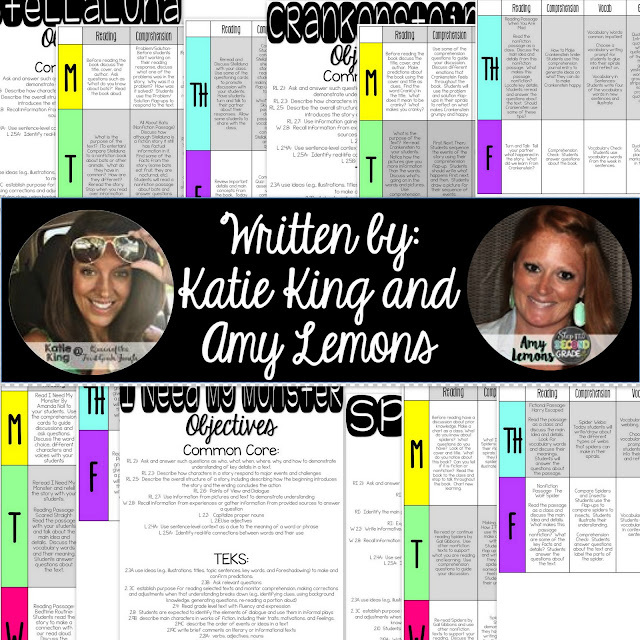 Now that this is done my entire month of ELA is all planned out for me... and it can be planned out for you too! Here's a really close look at what's all included! We focused on four books (links about that all the way down at the bottom). 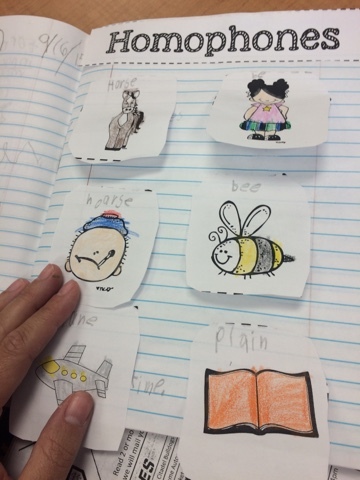 Each book has either a craft or directed drawing that can be paired with a variety of skills... adjectives, vocabulary, writing, quotes, etc. Every cute thing has a purpose!!! This is OBVIOUSLY Amy's area of expertise. I LOVE to do this kind of stuff in my room, but I need direction from someone as talented as Amy! Also, for each book you will notice we included two original reading passages that connect with the theme of the book... one fictional passage and one nonfiction passage. 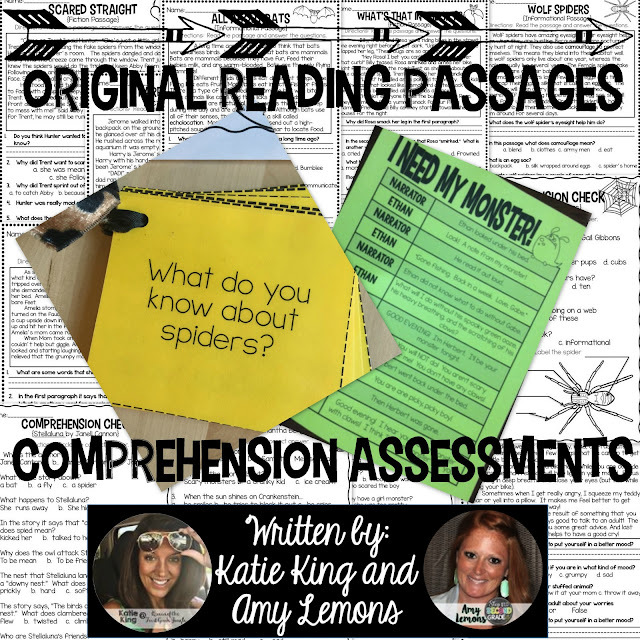 We wanted your students to make connections and be held accountable for comprehension. Also, we poured over these books and came up with 18 questions that will promote higher-level thinking and incorporate all levels of Bloom's Taxonomy! 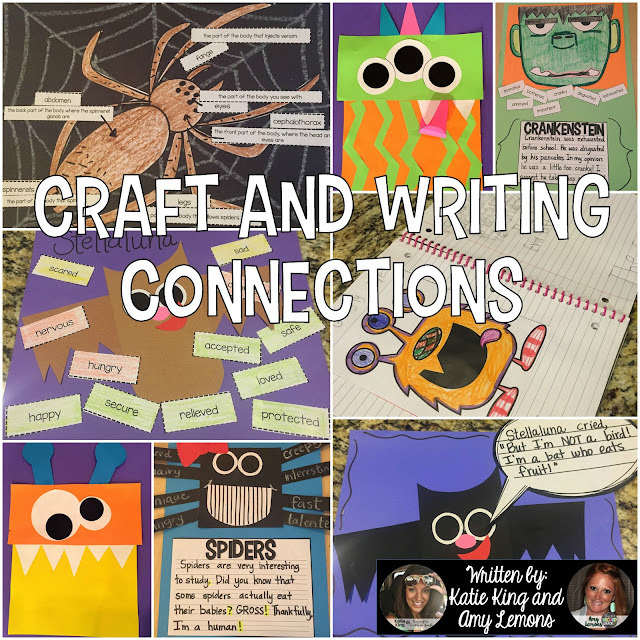 AND, if that isn't enough your students will even be able to practice dialogue with a reader's theatre for I Need My Monster! OHHH, I can't forget that comprehension quick checks are included for all four books as well! We know you need to take grades, so we definitely took that into consideration! This next part is something both Amy and I have been doing in our rooms for years, but it was never this pretty or organized! 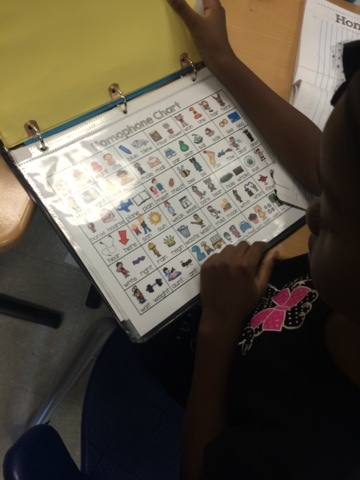 We wanted students to think deeply about the text that they are reading. 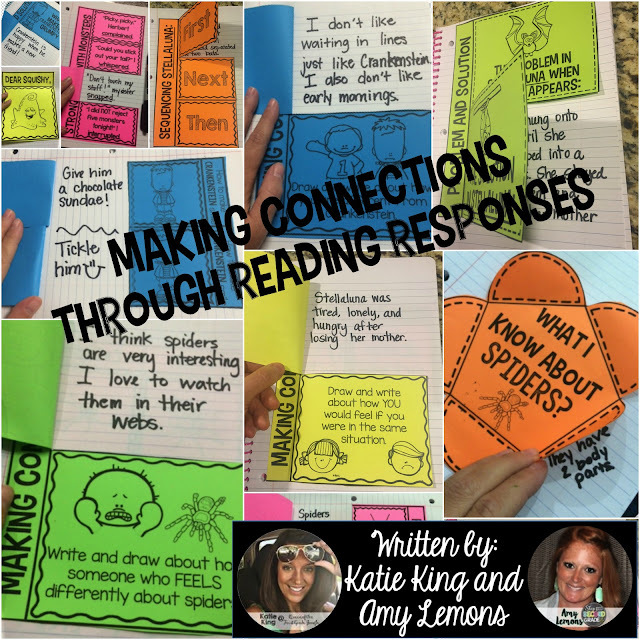 Each book comes with several reading response activities. 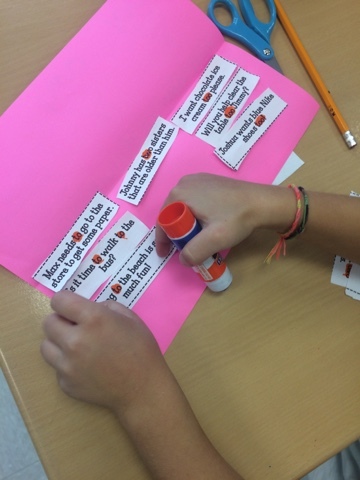 For these four stories we focused on Problem/Solution, Making Connections, Sequencing, Locating Facts, and Vocabulary! 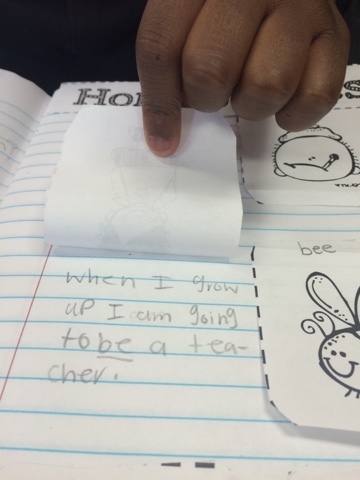 These flap-ups can be used in your students' interactive notebooks! Amy and I both knew that we needed to up our vocabulary game. 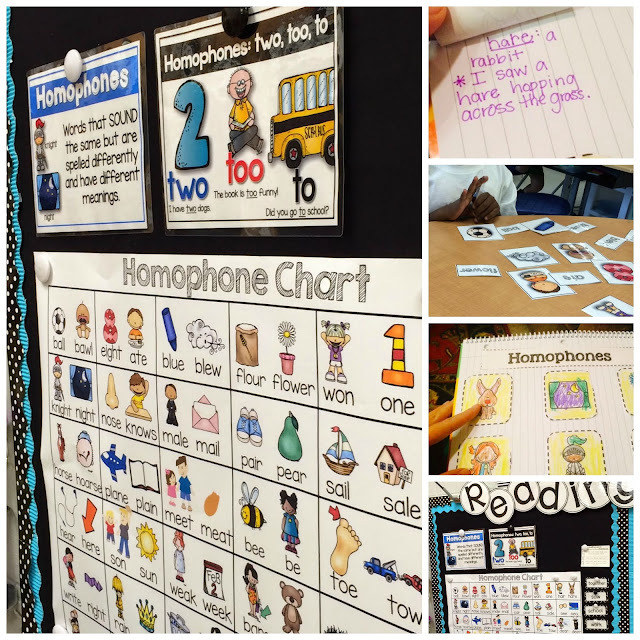 We knew that our kiddos are needing to retire some of those boring words they've been using over and over again. 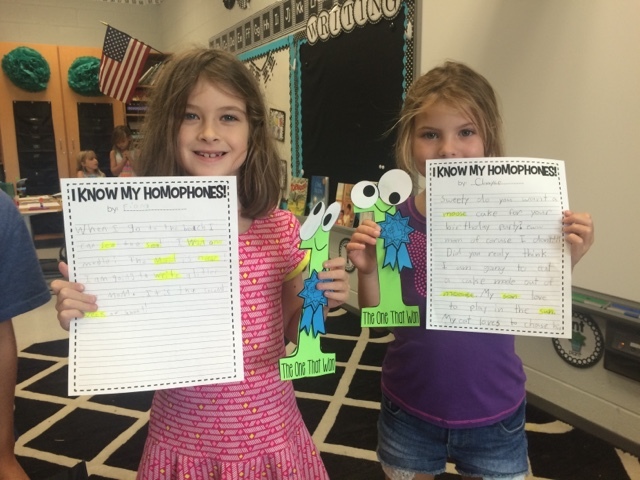 So, vocabulary is a huge focus for each book! 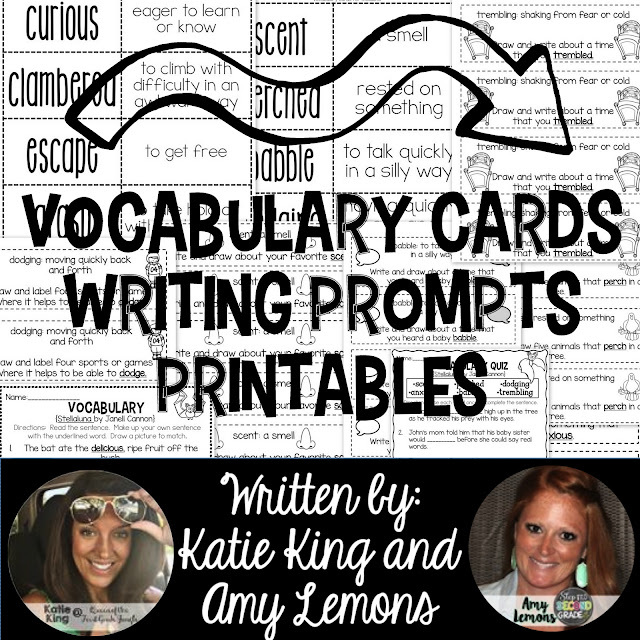 We made vocabulary cards, vocabulary writing prompts, and printables to go along with each book! 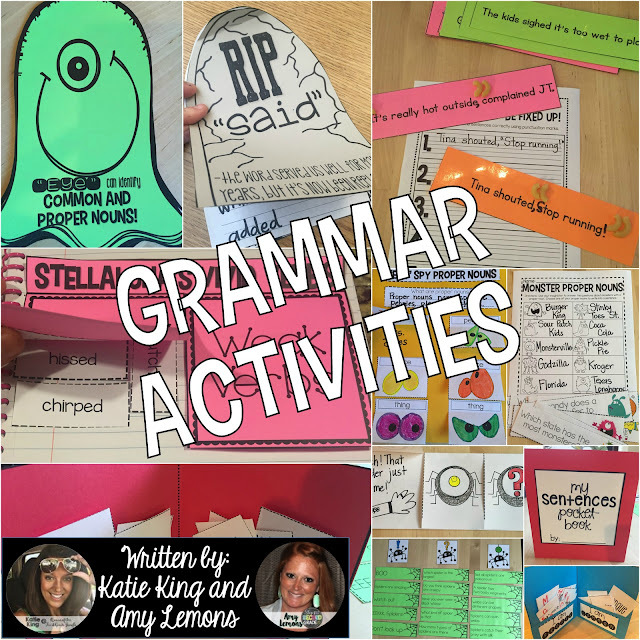 We didn't want to exclude grammar from the mix, so including grammar and writing activities was very important to us! 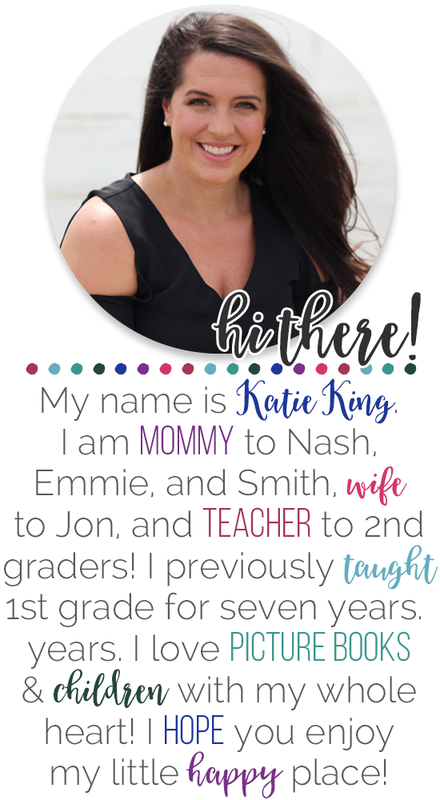 You'll focus on proper nouns, shades of meaning, quotation marks, verbs, types of sentences, and adjectives throughout these units! We put everything into weekly plans for you! You just print and teach!!!! Isn't that exciting?!! Phew! That's a lot of information to share! You can find out more about the unit by clicking on any of the pictures in this unit or by clicking HERE! 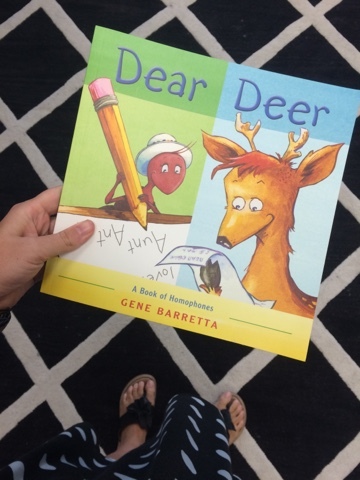 And, YES, we are already starting to look for our November books! We will post those as soon as we have our list finalized!! !